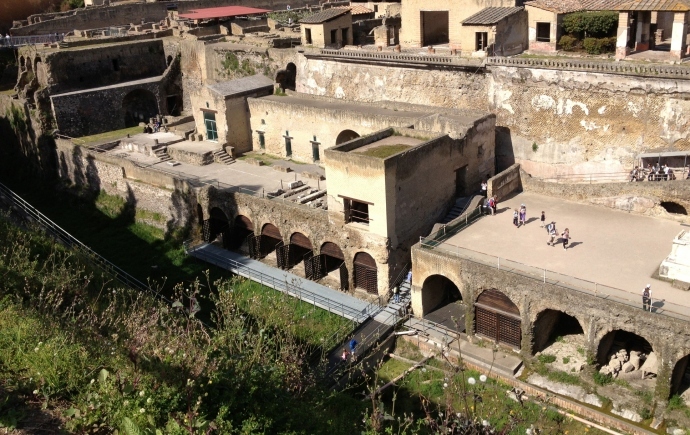 Herculaneum, said to have been founded by Hercules, is a remarkably well-preserved Roman town. 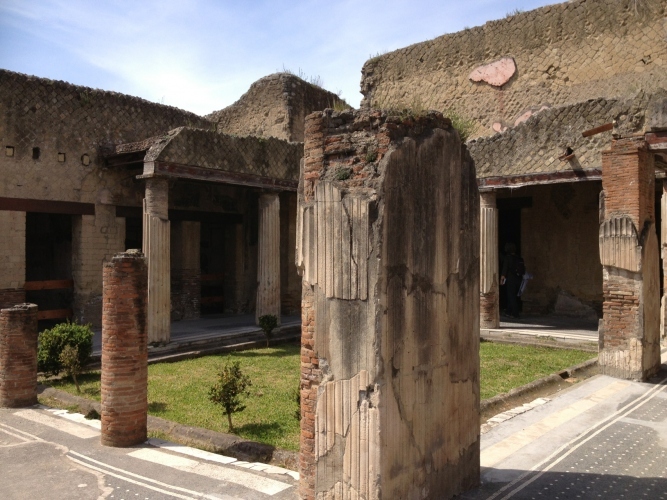 Built some time between 80 and 70 B.C., it was destroyed by the eruption of Vesuvius in A.D. 79. 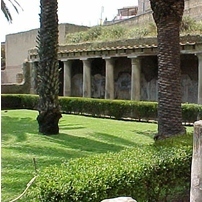 Unlike Pompeii, however, Herculaneum was not buried by lava and lapilli (burning fragments of pumice stone), but was submerged by thick mud which then solidified into soft tufa rock, thus preserving the many frescoes and artefacts you can still admire today. 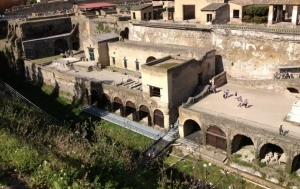 The town was discovered in 1709 and excavation work since has brought to light sumptuous villas, baths, theatres and even a villa thought to have belonged to the father-in-law of Julius Caesar.